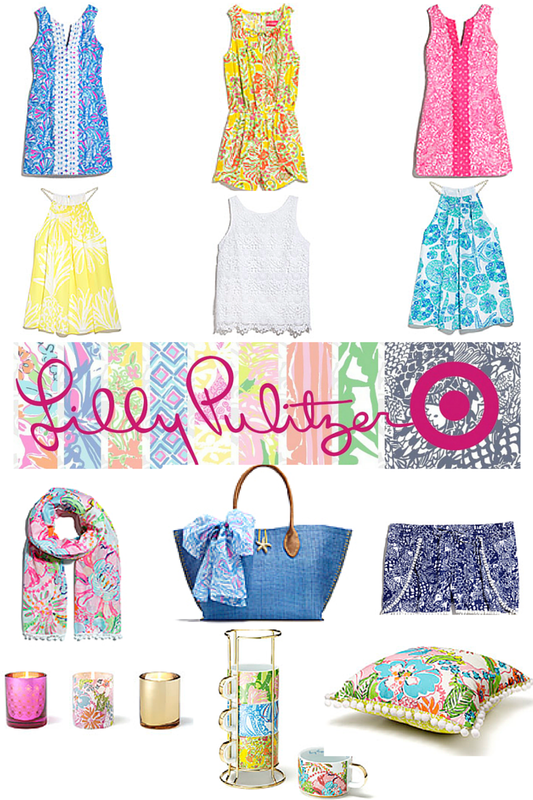 If you are a Lilly Pulitzer lover then I am going to make the safe assumption that you know about Lilly for Target! Quite a while ago they announced the collaboration that will launch on April 19th. 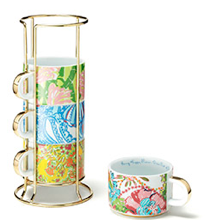 This set the preppy world on fire! Yesterday they released the official lookbook and so I am sure you have read many a blog post like this one... so much for originality my friends! Everything is so spectacular! And the prices are really amazing - especially compared to regular Lilly prices. I am 110% sure these little mugs are going to go FAST. Everyone is in love with them and it is pretty clear why! And at only $30 they pretty much fit everyone's budget. This gorgeous number is just that - gorgeous! I don't even want to tell you that it is only $26! This is by far my favorite print in the collection. Gold. Pineapples. Shoes. What on earth more could a girl want?!? If I don't get these I am definitely going to cry my little eyes out. I'm calling them Mary Poppins because they are practically perfect in every way. These will be going for $30 as well. Oh-kayyyy that is a #firstworldproblems post if I've ever seen one! But, alas, I am under Lilly's spell yet again and this time it's mixed with Target so I don't know if I can handle it! Please please please let me know what you're holding out for! P.S. 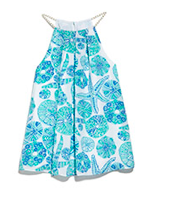 I gave up buying anything Lilly Pulitzer for Lent - I know, crazy right? So this release being a few weeks after Easter means my bank account is ready to take a hit! If you need to start saving pronto since seeing the lookbook, check out this post for some tips. i'm so excited, it's all so cute!